EVERYONE knows there is a VERY good reason to go to Magic Kingdom. That reason would be the DOLE WHIP! True Fact: I actually went to Magic Kingdom in Disney World JUST to get a Dole Whip and left right after I bought it. Thaw pineapple a little and then puree in a blender. To that, add the ice cream, lime juice, lemon juice, and half (6oz) of the pineapple juice. Blend together until it is well mixed. Freeze the mixture for about 2 hours to set up. Scoop into a glass and pour the remaining pineapple juice over each serving. 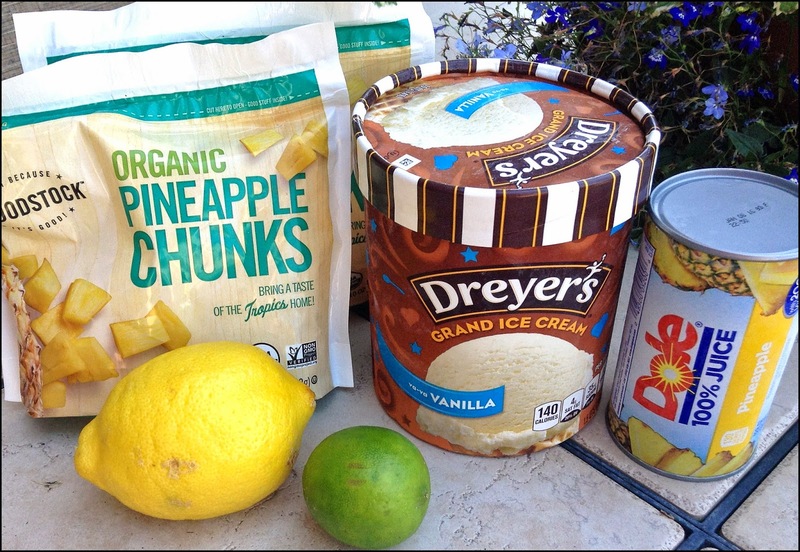 My opinion: I was able to get the ACTUAL Dole Whip mix to make in my ice cream maker. You can find it on Ebay HERE. 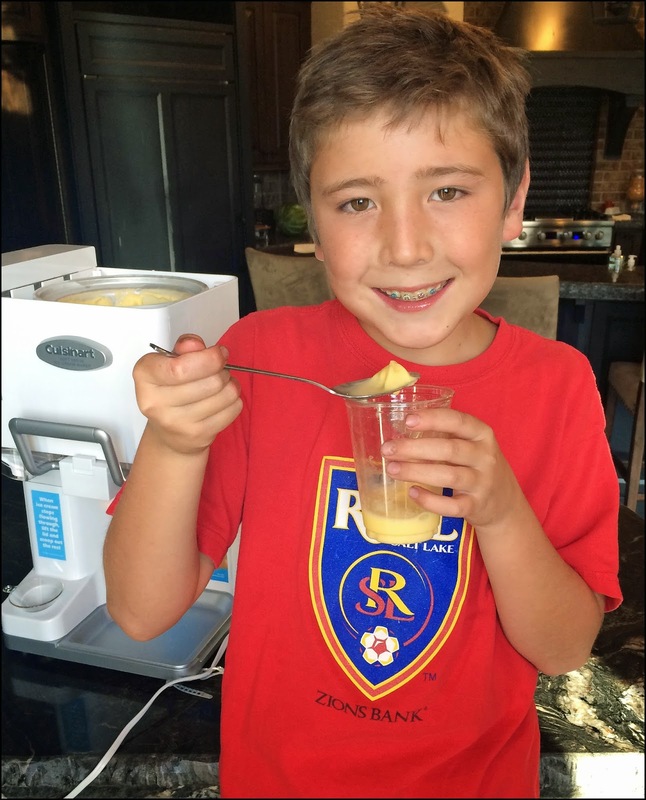 Brayden enjoying some Dole Whip we made in our ice Cream Maker with the original mix. This recipe pin is much more creamy, and it is easy to do because it is just a blender you would need to use. The calories are the only thing I noticed. 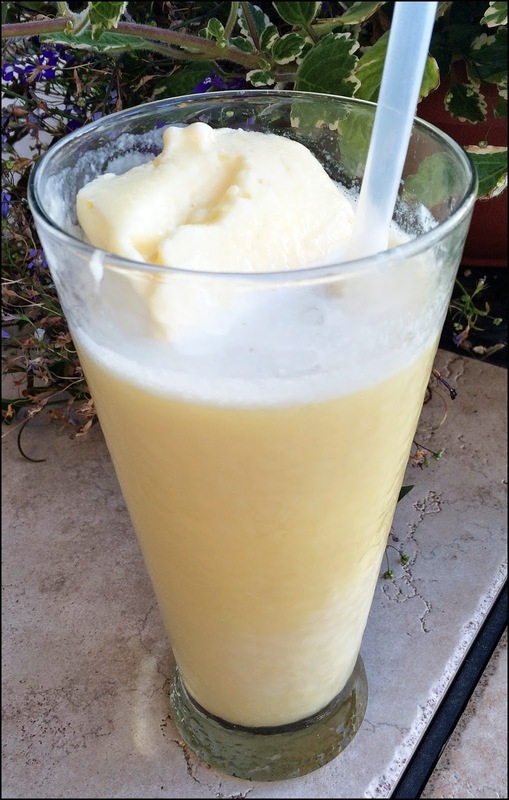 The recipe here has vanilla ice cream in it which ended up making a serving of this about 200 calories when a serving of the Dole Whip mix is only 80 calories! I think this is a DELICIOUS treat. In fact, I would almost say the fact that it is creamier makes it taste BETTER than the Disneyland version! I can't wait to show you this pin on Good Things Utah this coming Tuesday!